We begin with two warm-up questions. First, why is mathematics an integral part of the K-12 curriculum? The answers are self-evident and commonplace: to teach basic skills; to help children learn to think logically; to prepare students for productive life and work; and to develop quantitatively literate citizens. Second, and more problematic: How does mathematical reasoning advance these goals? This is not at all self-evident, since it depends greatly on the interpretation of “mathematical reasoning.” Sometimes this phrase denotes the distinctively mathematical methodology of axiomatic reasoning, logical deduction, and formal inference. Other times it signals a much broader quantitative and geometric craft that blends analysis and intuition with reasoning and inference, both rigorous and suggestive. This ambiguity confounds any analysis and leaves room for many questions. Epistemologically, reasoning is the foundation of mathematics. As science verifies through observation, mathematics relies on logic. The description of mathematics as the “science of drawing necessary conclusions” given over a century ago by the philosopher C. S. Peirce still resonates among mathematicians of today. For example, a contemporary report by mathematicians on school mathematics asserts that “the essence of mathematics lies in proofs” [Ross, 1997]. Yet mathematics today encompasses a vast landscape of methods, procedures, and practices in which reasoning is only one among many tools [e.g., Mandelbrot, 1994; Thurston, 1994; Denning, 1997]. Computation and computer graphics have opened new frontiers of both theory and application that could not have been explored by previous generations of mathematicians. This frontier has revealed surprising mathematical insights, for example, that deterministic phenomena can exhibit random behavior; that repetition can be the source of chaos as well as accuracy; and that uncertainty is not entirely haphazard, since regularity always emerges [Steen, 1990]. It took innovative mathematical methods to achieve these insights–methods that were not tied exclusively to formal inference. Does this mean that mathematical reasoning now includes the kind of instinct exhibited by a good engineer who finds solutions that work without worrying about formal proof? Does it include the kinds of inferences from “noisy” data that define the modern practice of statistics? Must mathematical reasoning be symbolic or deductive? Must it employ numbers and algebra? What about visual, inductive, and heuristic inferences? What about the new arenas of experimental mathematics and computer-assisted problem solving? What, indeed, is distinctively mathematicalabout mathematical reasoning? 2. Is mathematical reasoning useful? For most problems found in mathematics textbooks, mathematical reasoning is quite useful. But how often do people find textbook problems in real life? At work or in daily life, factors other than strict reasoning are often more important. Sometimes intuition and instinct provide better guides; sometimes computer simulations are more convenient or more reliable; sometimes rules of thumb or back-of-the-envelope estimates are all that is needed. In ordinary circumstances, people employ mathematics in two rather different ways: by applying known formulas or procedures to solve standard problems, or by confronting perplexing problems through typically mathematical strategies (e.g., translating to another setting; looking for patterns; reasoning by analogy; generalizing and simplifying; exploring specific cases; abstracting to remove irrelevant detail). Rarely do they engage in rigorous deduction characteristic of formal mathematics. At work and in the home, sophisticated multi-step calculations based on concrete measurement-based mathematics is far more common than are chains of logical reasoning leading to mathematical proof [Forman & Steen, 1995]. It is not the methodology of formal deduction that makes mathematics useful for ordinary work so much as the mathematical habits of problem solving and the mathematical skills of calculation [Packer, 1997]. Can people do mathematics without reasoning? Many certainly do–using routine methods ingrained as habit. Can people reason without using mathematics? Obviously so, even about situations (e.g, gambling, investing) that mathematicians would see as intrinsically mathematical. Those few people who employ advanced mathematics necessarily engage in some forms of mathematical reasoning, although even for them the role played by reasoning may be unconscious or subordinate to other means of investigation and analysis. But how much mathematical reasoning is really needed for the kinds of mathematics that people do in their life and work? 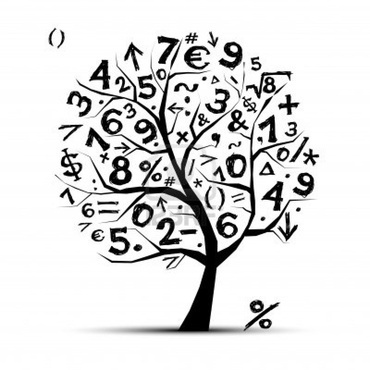 Does ordinary mathematical practice really require much mathematical reasoning? 3. Is mathematical reasoning an appropriate goal of school mathematics? Mathematics teachers often claim that all types of critical thinking and problem solving are really examples of mathematical reasoning. But employers have a different view, rooted in a paradox: graduates with degrees in mathematics or computer science are often less successful than other graduates in solving the kinds of problems that arise in real work settings. Often students trained in mathematics tend to seek precise or rigorous solutions regardless of whether the context warrants such an approach. For employers, this distinctively “mathematical” approach is frequently not the preferred means of solving most problems arising in authentic contexts. Critical thinking and problem solving about the kinds of problems arising in real work situations is often better learned in other subjects or in integrative contexts [Brown, 1995]. The goals of school mathematics seem to shift every decade, from “conceptual understanding” in the new math 60s to “basic skills” in the back-to-basics 70s, from “problem solving” in the pragmatic 80s to “mathematical power” in the standards-inspired 90s. Will “mathematical reasoning” be next? Not likely. In its strict (deductive) meaning, mathematical reasoning is hardly sufficient to support the public purposes of school mathematics. Everyone needs the practice of mathematics. But who really needs to understand mathematics? Who really need mathematical reasoning? Can one make the case that every high school graduate needs to be able to think mathematically rather than just perform mathematically? 4. Can teachers teach mathematical reasoning? The Third International Mathematics and Science Study (TIMSS) documented that U.S. mathematics teachers focus on teaching students how to do mathematics and not on understanding what they do [NCES, 1996]. There are many reasons for this, including teachers’ self-image of mathematics as a set of skills, parents’ demand that children master the basics before advancing to higher order tasks; and the constraining environment of state-mandated tests that emphasize routine calculations. Many believe that curricular reform based on mathematical reasoning will never succeed since there are far too few teachers prepared to do justice to such a goal. Even if enough willing and able teachers can be found (or educated), will the public allow them to teach mathematical reasoning in school? Might the fear of “fuzzy mathematics” [Cheney, 1997] constrain even those teachers who might want to stress understanding? 5. Can mathematical reasoning be taught? Just as we don’t really know what mathematical reasoning is, so we don’t know very much about how it develops. Research does support a few general conclusions. First, successful learners are mathematically active [Anderson, Reder, & Simon, 1996]. Passive strategies (memorization, drill, templates) are much less likely than active tasks (discussion, projects, teamwork) to produce either lasting skills or deep understanding. Second, successful mathematics learners are more likely to engage in reflective (or “metacognitive”) activity [Resnick, 1987]. Students who think about what they are doing and why they are doing it are more successful than those who just follow rules they have been taught. We also know that students differ: no single strategy works for all students, nor even for the same student in all circumstances. Howard Gardner’s theory of multiple intelligences [Gardner, 1983, 1995] supports the practice of experienced teachers who create multiple means for students to approach different topics. Diverse experiences provide implicit contexts in which mathematical reasoning may emerge. But can we be sure that it will eventually emerge? Might some students, or some types of reasoning, require explicit instruction? Are there some types of mathematical reasoning that can only develop through student construction and reflection? If some types of mathematical reasoning cannot be taught explicitly, is it appropriate to require it of all high school graduates? 6. Do skills lead to understanding? Although mathematical performance generally involves a blend of skills, knowledge, procedures, understanding, reasoning, and application, the public mantra for improving mathematics education focuses on skills, knowledge, and performance–what students “know and are able to do.” To this public agenda mathematics educators consistently add reasoning and understanding–why and how mathematics works as it does. Experienced teachers know that knowledge and performance are not reliable indicators of either reasoning or understanding. Deep understanding must be well-connected. In contrast, superficial understanding is inert, useful primarily in carefully prescribed contexts such as those found in typical mathematics classrooms [Glaser, 1992]. Persons with well-connected understanding attach importance to different patterns and are better able to engage in mathematical reasoning. Moreover, students with different levels of skills may be equally able to address tasks requiring more sophisticated mathematical reasoning [Cai, 1996]. Nonetheless, the public values (and hence demands) mathematics education not so much for its power to enhance reasoning as for the quantitative skills that are so necessary in today’s world. It is not that adults devalue understanding, but that they expect basic skills first [Wadsworth, 1997]. They believe in a natural order of learning–first skills, then higher order reasoning. But do skills naturally led to understanding? Or is it the reverse–that understanding helps secure skills? Does proficiency with mathematical facts and procedures necessarily enhance mathematical reasoning? Conversely, can mathematical reasoning develop in some students even if they lack firm grasp of facts and basic skills? Might the relation of skills to reasoning be like that of spelling to writing–where proficiency in one is unrelated to proficiency in the other? 7. Can drill help develop mathematical reasoning? Critics of current educational practice indict “drill and kill” methods for two crimes against mathematics: disinterest and anxiety. Both cause many students to avoid the subject as soon as they are given a choice. Yet despite the earnest efforts to focus mathematics on reasoning, one out of every two students thinks that learning mathematics is mostly memorization [Kenney & Silver, 1997]. And they may have a point. Research shows rather convincingly that real competence comes only with extensive practice [Bjork & Druckman, 1994]. Yet practice is certainly not sufficient to ensure understanding. Both the evidence of research and the wisdom of experience suggest that students who can draw on both recalled and deduced mathematical facts make more progress than those who rely on one without the other [Askew & Dylan, 1995]. Yet children who can recite multiplication facts may still not understand why the answers are as they are or recognize when multiplication is an appropriate operation, much less understand how ratios relate to multiplication. High school students who memorize proofs in a traditional geometry course may show good recall of key theorems, but be totally unable able to see how the ideas of these proofs can be used in other contexts. Is there, indeed, any real evidence that practiced recall leads to reasoning and understanding? 8. Is proof essential to mathematics? In fact, most people understand “proof” in a pragmatic rather than a philosophical way: provide just enough evidence to be convincing. For many people, proof is tantamount to the civil legal test of “preponderance of evidence”; others require the stricter standard of “beyond reasonable doubt.” In routine uses of mathematics, what works takes precedence over what’s provable. So how much understanding of formal proof is necessary for the routine practice of mathematics? Probably not very much. But how much is needed for advanced study of mathematics? Undoubtedly a great deal. 9. Does learning proofs enhance mathematical reasoning? Nothing divides research mathematicians and mathematics educators from each other as do debates about the role of proof in school mathematics. Proof is central to mathematical reasoning, yet there is precious little agreement on how, when, why, or to whom to teach it. Its suitability for school mathematics has always been open to question, both on the grounds of pedagogy and relevance. The vocabulary of mathematical truth, rigor, and certainty is not a natural habitat for most students; their world is more empirical, relying on modeling, interpretation, applications. Only a very few students in high school comprehend proof as mathematicians do–as a logically rigorous deduction of conclusions from hypotheses [Dreyfus, 1990]. Students generally have very little comprehension of what “proof” means in mathematics, nor much appreciation of its importance [Schoenfeld, 1994]. Might early introduction of proof actually do more to hinder than enhance the development of mathematical reasoning? Although mathematicians often advocate including proof in school curricula so students can learn the logical nature of mathematics [Ross, 1997], the most significant potential contribution of proof in mathematics education may be its role in communicating mathematical understanding [Hanna & Jahnke, 1996]. The important question about proof may not be whether it is crucial to understanding the nature of mathematics as a deductive, logical science, but whether it helps students and teachers communicate mathematically. Is, perhaps, proof in the school classroom more appropriate as a means than as an end? 10. Does “math anxiety” prevent mathematical reasoning? Mathematics is perhaps unique among school subjects in being a major cause of anxiety. Many students believe deeply that they cannot do mathematics and so learn to avoid it; a few are so paralyzed by the prospect that they exhibit physiological evidence of acute anxiety [Buxton, 1991; Tobias, 1993]. It may seem obvious that anyone suffering even mildly from “math anxiety” would not engage in much mathematical reasoning. But this is not at all the case. Many students (and adults) who fear mathematics are in fact quite capable of thinking mathematically, and do so quite often–particularly in their attempts to avoid mathematics! What they really fear is not mathematics itself, but school mathematics [Cockcroft, 1982]. Both research and common sense say that anxiety is reduced when individuals can control uncertainties [Bjork & Druckman, 1994]. When percentages and ratios appear as impossible riddles, panic ensues. But when self-constructed reasoning–under the control of the individual–takes over, much valid mathematical reasoning may emerge, often in a form not taught in school. How can schools respect each student’s unique approach to mathematical reasoning while still teaching what society expects (and examines)? Would reduced panic result in improved reasoning? Is this a case where less may be more–where reduced instruction might yield deeper understanding? 11. Do cooperative activities enhance individual understanding? Arguments for cooperative learning and teamwork come from two rather different sources: first, from those (primarily in the education world) who view these activities as effective strategies for learning mathematical reasoning and second, from those (primarily in the business world) who view cooperative activities as essential for productive employees [SCANS, 1991]. Advocates envision mathematics classes as communities where students engage in collaborative mathematical practice both with each other and with their teachers [Silver, Kilpatrick, & Schlesinger, 1990]. In such classes students would regularly engage in authentic forms of mathematical practice by inventing strategies, arguing about approaches, and justifying their work. Parents often object to educators’ rationale for teamwork, since they view mathematics as an ideal subject in which individual accomplishment can be objectively measured and rewarded. They worry both that children who are above average will be held back by slower students and that those who are behind will be instructed not by teachers but by other children. Ironically, despite their distrust of teamwork in subjects like mathematics, most parents and students admire teamwork in sports and musical organizations. (Of course, in sports and music–as in the workplace–success accrues not to individuals but to the team as a whole.) Despite these objections, there is considerable evidence that cooperative learning is effective, especially for children [Bjork & Druckman, 1994]. For high school students and adults, however, the evidence is more mixed. Older students bring to cooperative groups stronger individual motivations, complex experiences in social interactions, and often some defensiveness or embarrassment about learning. Employers value teamwork because it produces results that no individual could accomplish alone. But can teamwork in the classroom also produce reasoning at a higher level than could be accomplished by any single member of a team? Will individual members of a team learn more mathematics as a result? Just how do group activities promote mathematical reasoning in individuals? Even more difficult and important: How can mathematics educators gain public support for cooperative activities? 12. Can calculators and computers increase mathematical reasoning? At home and at work, calculators and computers are “power tools” that remove human impediments to mathematical performance. For example, spreadsheets and statistical packages are used by professionals both to extend the power of mind as well as to substitute for it–by performing countless calculations without error or effort. Students certainly need to learn these empowering uses of technology. But in addition, calculators and computers are responsible for a “rebirth of experimental mathematics” [Mandelbrot, 1994]. They provide educators with wonderful tools for generating and validating patterns that can help students learn to reason mathematically. Computer games can help children master basic skills; intelligent tutors can help older students master algebraic procedures. Many educators have argued that since programming enforces logical rigor, computer languages such as Logo and ISETL can help students learn to reason. Calculators and computers hold tremendous potential for mathematics. Depending on how they are used, they can either enhance mathematical reasoning or substitute for it, either develop mathematical reasoning or limit it. However, judging from public evidence, the actual effect of calculators in school is as often negative as positive: for every student who learns to use spreadsheets there seem to be several who reach for a calculator to add single digit numbers or to divide by 10. Why are the consequences of calculators in school mathematics so mixed? Why is there such a big gap between aspirations and accomplishment? 13. Why do so many student feel that mathematics is a foreign culture? A substantial number of children find school mathematics opaque. Part of children’s difficulty in learning school mathematics lies in their failure to reconcile the rules of school-math with their own independently developed mathematical intuition [Freudenthal, 1983; Resnick, 1987]. Too often, entrenched assumptions–like “regular” grammar applied in contexts where irregularity rules–impede learning. To what extent does the mathematical environment in a child’s home affect how the child responds to mathematics in school? Many people believe that certain peoples or cultures are better suited to mathematics than others. The thriving–and controversial–specialty of ethnomathematics documents beyond reasonable doubt that all societies have developed some form of mathematics, and that these forms reflect the cultures in which they emerge. Historically alert mathematicians can recognize similarities and differences in the mathematics of different cultures and can trace the influence of cultures on one another in the evolution of mathematics [Joseph, 1992]. Thus there are undeniable cultural differences in mathematics. But are there cultural differences in the development of mathematical reasoning? Here the evidence is less definitive. World-class mathematicians have emerged from societies all around the globe, yet certain cultures put greater emphasis on the kinds of rigor and reasoning that give mathematics its special power. Students growing up in these cultures are more likely to recognize a zone of comfort in school mathematics, whereas students growing up in cultures that view the world through other lenses may feel as if school mathematics is a foreign culture. Why do some students see mathematics as the only welcoming subject in school, whereas others see it as the most foreign of cultures? 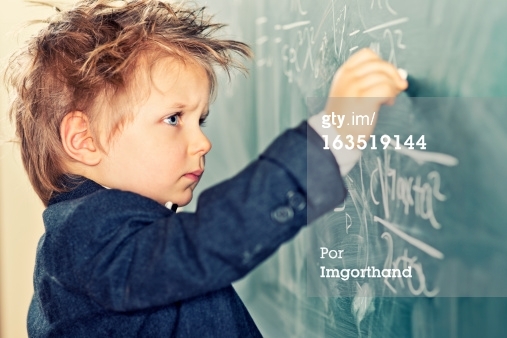 Why, indeed, do some children find mathematics so unreasonably hard? 14. Is context essential for mathematical reasoning? For at least a decade, both educational researchers and reformers have been preaching the message of “situated cognition” or “contextualized learning.” For much longer scientists and engineers have fussed at mathematicians for persisting with context-free instruction [Rutherford, 1997]. Recently vocational educators have joined the chorus, citing persistent lack of context in mathematics courses as one of the chief impediments to student learning [Bailey, 1997; Hoachlander, 1997]. Yet according to a National Research Council report, there is no consistent evidence that performance is enhanced when learning takes place in the setting in which skills will be performed [Bjork & Druckman, 1994]. Context can affect learning in two opposing ways: generally, it enhances motivation and long-term learning, but it can also can limit the utility of what is learned. Knowledge often becomes context-bound when it is taught in just one context. Anyone who has ever taught mathematics has heard complaints from teachers in other subjects that students don’t appear to know any of the mathematics they were supposed to have learned in mathematics class. The pervasive problem of compartmentalized knowledge has led many educators to assume that transfer of knowledge from one subject to another is atypical. In fact, transfer does occur, but not nearly as systematically or as predictably as we would like. Just how situated is mathematical cognition? Does instruction in context facilitate learning mathematics? Does it limit or enhance the likelihood of transfer to other domains? When, if ever, does mathematical reasoning transfer to other domains? 15. Must students really construct their own knowledge? One of the most widely accepted goals of the mathematics community is that students should understand the mathematics they perform. For centuries educators have known that understanding grows only with active learning. This has led, in the argot of mathematics educators, to a widespread belief that students “construct” their own understanding [Davis, Maher, & Noddings, 1990; Hiebert & Carpenter, 1992]. In this view, understanding cannot be delivered by instructors, no matter how skillful, but must be created by learners in their own minds. The constructivist posits that children learn as they attempt to solve meaningful problems. In this view, understanding emerges from reflection catalyzed by questions [Campbell & Johnson, 1995]. The teachers primary role is not to instruct but to pose problems and ask questions that provoke students to reflect on their work and justify their reasoning. In this way, activities such as explaining, justifying, and exemplifying not only demonstrate understanding but also help create it. According to supporters, constructivism focuses education on the learner (what happens in students’ minds); on inquiry (seeking the right questions, not just the right answers); on relevance (questions of natural interest to children); and on activity (learning with both hand and mind) [Brooks & Brooks, 1993]. Yet critics [e.g., Anderson et al., 1996; Wu, 1996] contend that constructivist methods too easily slight the importance both of didactics (systematic instruction) and drill (systematic practice). What is the appropriate balance between teacher-directed and student-inspired learning? Do students need to construct everything for themselves? What should be memorized and what constructed? 16. How many mathematics are there? Mathematics lives in many environments–home math, school math, street math, business math, work math–and many students who succeed in one mathematical world fail in another. Even though these are all mathematics, these environments offer fundamentally different contexts in which students learn and utilize mathematics. One might well imagine that, like multiple intelligences [Gardner, 1983] there may be multiple mathematics [Grubb, 1997]. Evidence of multiple mathematics abounds. Research documents what parents and teachers know from rueful experience–that many children see school mathematics as disconnected from sense-making and the world of everyday experience [Silver, Kilpatrick, & Schlesinger, 1990; Schoenfeld, 1991]. The widespread separation of symbols from meaning and of calculation from reasoning is an inheritance of an educational system whose historic purpose was to separate the practical from the abstract and workers from scholars [Resnick 1987]. Only for an elite was abstract or higher order reasoning a goal (much less an accomplishment) of education. School has helped foster the public’s view of different mathematics for different purposes. This history encourages a pervasive myth about mathematics learning–that mathematical reasoning is appropriate only for the ten percent of students who are destined for mathematically rich careers in science and engineering. Yet in today’s workplace, mathematical thinking is needed by more students than every before. Nonetheless, some students learn mathematics better in mathematics classes, some in science or shop courses, and some on the job or at home. Do these settings offer different mathematics? In what circumstances is abstract mathematics appropriate? When is concrete mathematics better? Can we trust students to know which type of mathematics is best for them in particular contexts? Do teachers know enough to decide? Does anyone? 17. How does our brain do mathematics? Recent research in neuroscience has begun to open a window into what has heretofore been largely beyond the reach of science: the neural mechanism of cognition. Intriguingly, this research suggests a Darwinian mechanism of diversity and selection that operates within the brain just as it does among species in an ecosystem [Edelman, 1992; Abbott, 1994; Changeux & Connes, 1995]. Such a mechanism may help explain the stages of mathematical creativity noted in the classic work of Jacques Hadamard  of preparation (trial and error), incubation (often subconscious), illumination (frequently sudden), and verification (requiring reasoning). According to this theory, mathematical reasoning depends on the same two forces as the evolution of species: a mechanism for generating diversity (alternatives) and a strategy for selection that stabilizes optimal choices among this diversity. What, indeed, is the neural mechanism of mathematical thought? This is now a researchable question, and the implications of such research are profound. For the first time, we may be able to connect mathematical thinking to the biology of the brain. We now know, for instance, that memory involves several anatomically different structures. As improved understanding of physiology has moved athletes’ performances to the edge of human potential, might we soon be able to scientifically improve individuals’ mathematical performance? Can we identify the biochemistry of mathematical reasoning? Might neuroscience help educators understand the vexing problem of transfer? Or of the relation of skills to reasoning? 18. Is our brain like a computer? We tend naively to think of the brain as a computer–especially when it is engaged in mathematical activity. Store basic facts in memory; provide key algorithms for calculation; then push a button. Much of the drill-oriented pedagogy of traditional mathematics education is rooted in this metaphor. In fact, as contemporary neuroscience reveals, the brain is less like a computer to be programmed or a disk to be filled than like an ecosystem to be nourished [Abbott, 1996; ECS, 1996, 1997]. Although the evidence against the brain-as-computer metaphor is overwhelming [e.g., recovery patterns of stroke victims], the paradigm persists in large measure for lack of a compelling alternative. But that may be about to change. Research in the intersection of evolutionary genetics and neuroscience suggests potentially important neurological differences between those cognitive capacities that are evolutionarily primitive (e.g., counting) and those such as arithmetic (not to mention algebra!) that are more recent social constructs [Geary, 1995]. Capacity for reasoning is created by a continually changing process of natural selection of neuronal groups responding to an individual’s goals (called “values” by Edelman ). Thus both the processes of cognition and the elements on which these processes act–if you will, procedures and facts–are subject to the evolutionary pressures of diversity and selection within the living brain. 19. Is the capacity for mathematics innate? For years linguists and neuroscientists have studied the way babies learn language in an effort to understand the relation of human language to the genetic endowment of our species. As children naturally develop their own rules of grammar–regularizing irregular verbs, for example–so they also invent rules to explain patterns they see around them. To the extent that making patterns is a mathematical activity [Steen, 1988; Devlin, 1994], young children learning language are doing mathematics! There is abundant evidence that young children, on their own, develop simple mathematical rules that they use to solve problems in their environment [Resnick, 1987]. Yet these patterns often lead to mathematical misconceptions–e.g., that multiplication makes things bigger–that persist despite subsequent contrary evidence and instruction [Askew & Dylan, 1995]. Does this mean that young children have the same innate capacity to learn mathematics as they have to learn language? How might mathematical reasoning be enhanced if babies were bathed in an environment as rich in mathematical patterns as it is in natural language? 20. Is school too late? Although certain aspects of the brain are determined by genetics and by the environment in the womb, both neurons and synapses grow and change rapidly during the early years of life. How they grow is determined by the environment of the infant. What they become–after five or six years–determines to a considerable degree the cognitive capacity of the child and adult. Although much of the brain is formed at birth, much remains plastic, amenable to being shaped by experience. The capacity for abstract thinking is particularly plastic. Synapse growth occurs at a phenomenal rate until age two or three, and then gradually diminishes for the rest of life [ECS, 1997]. “Use it or lose it” is a fitting description of the early brain. Everyone knows the importance of aural stimulation for the learning of language in the first years of life. Recent research has provided rather firm evidence that musical stimulation in these early years enhances capacity for spatial and mathematical abstraction later in life [Rauscher & Shaw, 1997]. (Whether early musical stimulation enhances musicality is less clear.) Apparently the acoustical bath of aural structure provided by classical music does for the abstract centers of the brain what hearing phonemes does for language learning. This research leads to many questions that are hardly touched on in mathematics education. Are there “windows” for learning arithmetic or algebra, or for mathematical reasoning, as there surely are for learning language? What, besides music, can enhance the young brain’s capacity for mathematical thinking? How sensitive is mathematical ability to the sensory environment of a baby? Just how does learning change the brain’s physiology? Might we someday be able to sculpt children’s capacity for mathematical reasoning? Abbott, John. “The Search for Next-Century Learning.” AAHE Bulletin, 48:7 (March 1996) 3-6. Abbott, John. Learning Makes Sense: Recreating Education for a Changing Future. Letchworth, UK: Education 2000, 1994. Askew, Michael and Dylan William. Recent Research in Mathematics Education 5-16. London, UK: Her Majesty’s Stationery Office, 1995. Bailey, Thomas. “Integrating Vocational and Academic Education.” In High School Mathematics at Work. Washington, DC: National Academy Press, 1997. Bjork, Robert A. and Daniel Druckman, Editors. Learning, Remembering, Believing: Enhancing Human Performance. Washington, DC: National Research Council, 1994. Brooks, Jacqueline G. and Martin G. Brooks. In Search of Understanding: The Case for Constructivist Classrooms. Alexandria VA: American Society for Curriculum Development, 1993. Brown, Patricia (editor). Promoting Dialogue on School-to-Work Transition. Washington, DC: National Governors’ Association, 1995. Buxton, Laurie. Math Panic. Portsmouth, NH: Heinemann Educational Books, 1991. Cai, Jinfa. A Cognitive Analysis of U.S. and Chinese Students’ Mathematical Performance on Tasks Involving Computation, Simple Problem Solving, and Complex Problem Solving.” Journal for Research in Mathematics Education, Monograph No. 7, 1995. Campbell, Patricia F. and Martin L. Johnson. “How Primary Students Think and Learn.” In Prospects for School Mathematics, edited by Iris M. Carl, pp. 21-42. Reston, VA: National Council of Teachers of Mathematics, 1995. Changeux, Jean-Pierre and Alain Connes. Conversations on Mind, Matter, and Mathematics. Princeton, NJ: Princeton University press, 1995. Cheney, Lynne. “Creative Math or Just ‘Fuzzy Math’? Once Again, Basic Skills Fall Prey to a Fad.” The New York Times, August 11, 1997, p. A13. Cockroft, Sir Wilfred. Mathematics Counts. London: Her Majesty’s Stationery Office, 1982. Davis, Robert B., Carolyn A. Maher, and Nel Noddings. “Constructivist Views on the Teaching and Learning of Mathematics.” Journal for Research in Mathematics Education, Monograph No. 4, 1990. Denning, Peter J. Quantitative Practices. In Why Numbers Count: Quantitative Literacy for Tomorrow’s America, edited by Lynn Arthur Steen, pp. 106-117. New York, NY: The College Board, 1997. Devlin, Keith. Mathematics: The Science of Patterns. New York, NY: W. H. Freeman, 1994. Dreyfus, Tommy. “Advanced Mathematical Thinking.” In Mathematics and Cognition, edited by Pearla Nesher and Jeremy Kilpatrick. Cambridge UK: Cambridge University Press, 1990. pp. 113-134. Edelman, Gerald. Bright Air, Brilliant Fire. New York, NY: Basic Books, 1992. Forman, Susan L. and Lynn Arthur Steen. “Mathematics for Life and Work.” In Prospects for School Mathematics, edited by Iris M. Carl, pp. 219-241. Reston, VA: National Council of Teachers of Mathematics, 1995. Freudenthal, Hans. “Major Problems of Mathematics Education.” In Proceedings of the Fourth International Congress on Mathematical Education, edited by Marilyn Sweng, et al., p. 1-7. Boston, MA: Birkhäuser, 1983. Gardner, Howard. Frames of Mind: The Theory of Multiple Intelligences. New York, NY: Basic Books, 1983. Gardner, Howard: “Reflections on Multiple Intelligences: Myths and Messages.” Phi Delta Kappan. Nov. 1995 pp. 200-209. Geary, David C. “Reflections on Evolution and Culture in Children’s Cognition: Implications for Mathematical Development and Instruction.” American Psychologist 50:1 (1995). Glaser, Robert. “Expert Knowledge and the Processes of Thinking.” In Enhancing Thinking Skills in the Sciences and Mathematics, edited by Diane. F. Halpern, pp. 63-75. Hillsdale, NJ: Lawrence Earlbaum Assoc., 1992. Grubb, Norton. “Exploring Multiple Mathematics.” Project EXTEND Web Site (URL: http://www.stolaf.edu/other/extend/Expectations/grubb.html), 1996. Hadamard, Jacques. The Psychology of Invention in the Mathematical Field. Princeton, NJ: Princeton University Press, 1945. Hanna, Gila and H. Niels Jahnke. “Proof and Proving.” In International Handbook of Mathematics Education, edited by Alan J. Bishop, et al., pp. 877-908. Dordrecht: Kluwer Academic Publishers, 1996. Hiebert, James and Thomas P. Carpenter. “Learning and Teaching with Understanding.” In Handbook of Research on Mathematics Teaching and Learning, edited by Douglas A. Grouws, pp. 65-97. New York: Macmillan, 1992. Hoachlander, Gary. “Organizing Mathematics Education Around Work.” In Why Numbers Count: Quantitative Literacy for Tomorrow’s America, edited by Lynn Arthur Steen, pp. 122-136. New York, NY: The College Board, 1997. Horgan, John. “The Death of Proof.” Scientific American 269 (April 1993) 93-103. Joseph, George Ghevergheze. The Crest of the Peacock: Non-European Roots of Mathematics. London, UK: Penguin Books, 1992. Kenney, Patricia Ann and Edward A. Silver, editors. Results from the Sixth Mathematics Assessment of the National Assessment of Educational Progress. Reston, VA: National Council of Teachers of Mathematics, 1997. Mandelbrot, Benoit. “Fractals, the Computer, and Mathematics Education.” In Proceedings of the 7th International Congress on Mathematical Education, edited by Claude Gaulin, et al. pp. 77-98. Sainte-Foy, QB: Les Presses de l’Université Laval, 1994. National Center for Educational Statistics. Pursuing Excellence. Washington, DC: U. S. Department of Education, 1996. National Council of Teachers of Mathematics. Curriculum and Evaluation Standards for School Mathematics. Reston VA: The Council, 1989. Packer, Arnold. “Mathematical Competencies that Employers Expect.” In Why Numbers Count: Quantitative Literacy for Tomorrow’s America, edited by Lynn Arthur Steen, pp. 137-154. New York, NY: The College Board, 1997. Rauscher, Frances and Gordon Shaw. “Music Training Causes Long-Term Enhancement of Preschool Children’s Spatial-Temporal Reasoning.” Neurological Research 19 (Feb 1997) 2-8. Resnick, Lauren B. Education and Learning to Think. Washington, DC: National Research Council, 1987. Ross, Kenneth A. “Second Report from the MAA Task Force on the NCTM Standards.” Mathematical Association of America Web Site (URL: http://www.maa.org/past/nctmupdate.html) 1997. Rutherford, F. James “Thinking Quantitatively about Science.” In Why Numbers Count: Quantitative Literacy for Tomorrow’s America, edited by Lynn Arthur Steen, pp. 60-74. New York, NY: The College Board, 1997. Schoenfeld, Alan H. “On Mathematics as Sense-Making.” In Informal Reasoning and Education, edited by J. F. Voss, D. N. Perkins, and J. W. Segal, pp. 311-343. Hillsdale, NJ: Lawrence Earlbaum Associates, 1991. Schoenfeld, Alan H. “What Do We Know About Curricula?” Journal of Mathematical Behavior, 13 (1994) 55-80. Secretary’s Commission on Achieving Necessary Skills (SCANS). What Work Requires of Schools: A SCANS Report for America 2000. Washington, DC: U.S. Dept. of Labor, 1991. Silver, Edward A., Kilpatrick, Jeremy, and Beth Schlesinger. Thinking Through Mathematics. New York, NY: College Entrance Examination Board, 1990. Steen. Lynn Arthur. “The Science of Patterns. Science 240 (29 April 1988) 611-616. Steen, Lynn Arthur (editor). On the Shoulders of Giants: New Approaches to Numeracy. Washington, DC: National Academy Press, 1990. Thurston, William P. “Mathematics Education.” Notices of the American Mathematical Society 37:7 (September, 1990) 844-850. Thurston, William P. “On Proof and Progress in Mathematics.” Bulletin of the American Mathematical Society, 30 (1994) 161-177. Tobias, Sheila. Overcoming Mathematics Anxiety (Rev. Ed.). New York, NY: W. W. Norton, 1993. Wadsworth, Deborah. “Civic Numeracy: Does the Public Care?” In Why Numbers Count: Quantitative Literacy for Tomorrow’s America, edited by Lynn Arthur Steen, pp. 11-22. New York, NY: The College Board, 1997. Wu, Hung-Hsi. “The Mathematician and the Mathematics Education Reform.” Notices of the American Mathematical Society 43:12 (December, 1996) 1531-1537. My friend and GVSU colleague Ted Sundstrom has recently made his wonderful text, Mathematical Reasoning, free to the public. After being originally published by Prentice Hall in two separate editions and widely adopted, Ted has gotten the copyright given back to him and generously chosen to make the text available for free in .pdf format. See https://sites.google.com/site/mathematicalreasoning3ed/ for a link to download. “Mathematical Reasoning: Writing and Proof” by Ted Sundstrom. Open Book, that is the future! A report that outlines four basic strategies governments in the developed and developing world can pursue to meet these challenges: improve, reinvent, supplement and transform schools and learning. Is it for every body so natural and easy to transform our selves into self-organized and networked learners??? ?